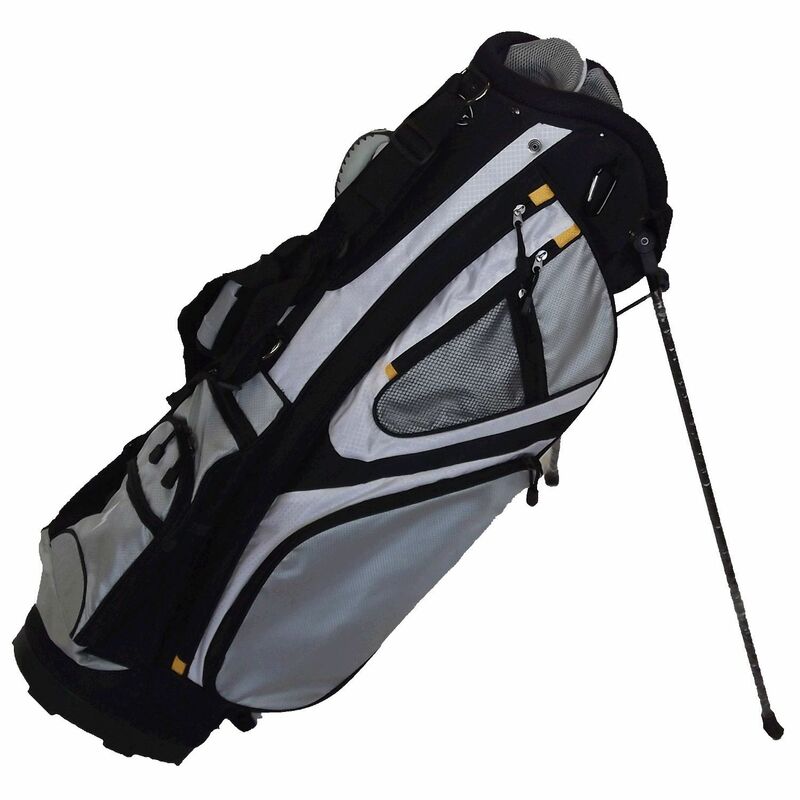 The PowerBilt hybrid stand bag is a dual purpose golf bag. It can be used as a carry bag as it has a padded dual strap and is lightweight, but also it is designed to fit on a trolley as it has no stand. The bag has a 6 way diving system that allows you to easily manage your clubs and 10 zippered pockets that ensure plenty of storage space. The bag is supplied with a rain hood. It is made from a Rip-stop nylon for enhanced durability. for submitting product review about PowerBilt Hybrid Stand Bag.